ST. GEORGE – St. George City Council discussed budget recommendations for public safety Thursday, including additional police officers and related personnel to help keep up with city’s growth. “As you know, we’re busy. There’s a lot going on,” St. George Police Chief Marlon Stratton told the council. Earlier this month the City Council adopted a tentative $270 million budget for the 2018-19 fiscal year. Pending the budget’s final adoption, the council has been hearing from the city department heads on funding needs and requests. The budget’s general fund, which pays for city services, is projected to be $73 million, with public safety – law enforcement and fire protection – taking the largest chuck at $24.6 million. The Police Department was originally recommended to bring on four new positions: a bike patrol sergeant, traffic officer, animal services officer and a dispatcher. 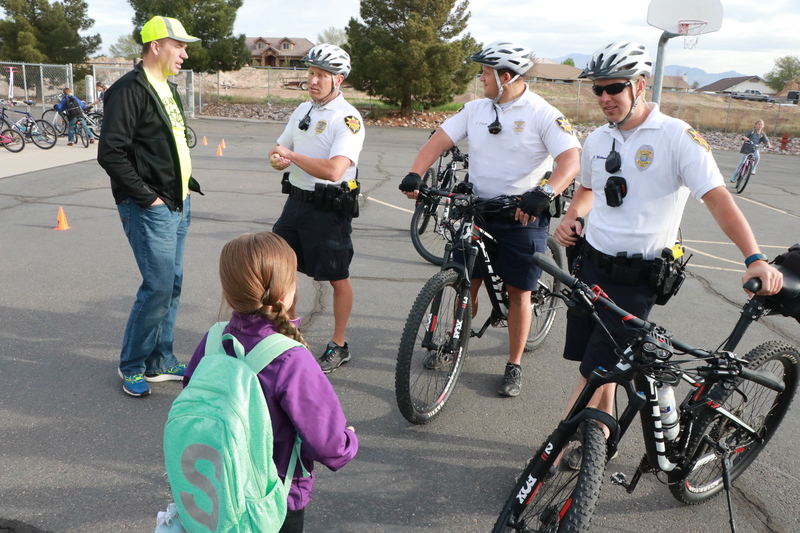 “I think our bike patrol can really make a difference,” Stratton said, referring to keeping areas around the city’s incoming apartment complexes safe, as well as keeping tabs on the city’s homeless population. Using the bike patrol and other specialized units like drug task force and traffic units proactively, Stratton said he hopes to reduce the mounting workload of the patrol officers. Along with the four new positions, the Police Department is also looking to hire three officers to replace those who are retiring or moving. Filling those positions has not been easy. Where two openings would draw as many as 150 applications a few years ago, that is nowhere the case now, Stratton said. The department has also had difficulty finding and keeping quality dispatchers, due in part to the stress that comes with the job. Council decided to add two additional officers: another traffic officer and a patrol officer. 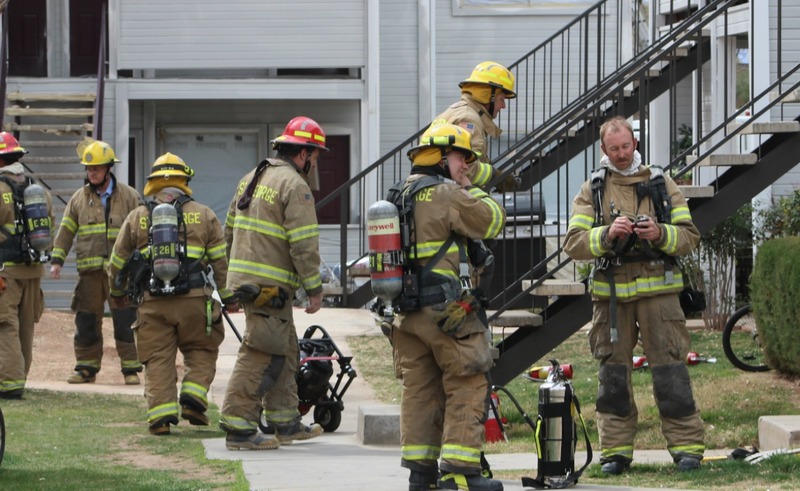 Staffing issues are also a concern for the St. George Fire Department, which has nine positions slated for the coming year — provided a federal grant comes through. The Staffing for Adequate Fire and Emergency Response grant is administered through Federal Emergency Management Agency and has been awarded to St. George twice before, St. George Fire Chief Robert Stoker said, which makes him optimistic about getting it this year. Around $2.2 million has been put toward the construction of Station 9, the newest fire station set in Little Valley. Stoker announced the possibility of four new stations to built in the next five or more years. One station would be near the St. George Regional Airport, another in the Desert Color development as it moves forward, with another on the west side of St. George. The Ledges is also pegged as a future site. 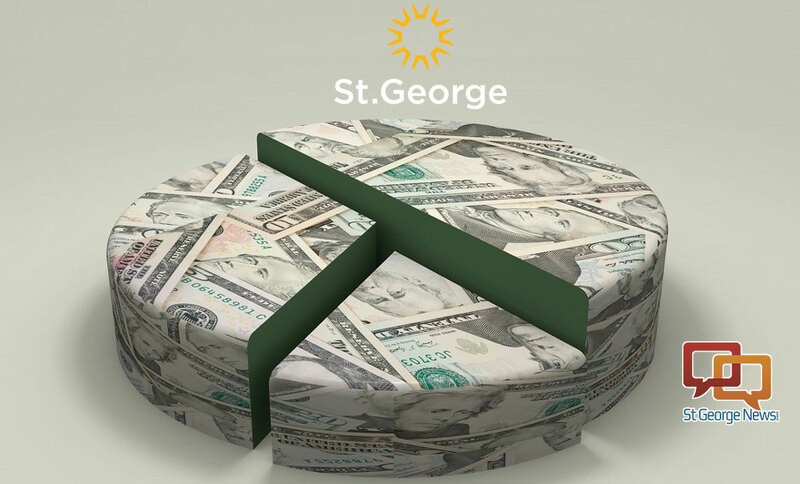 The proposed 2018-19 St. George city budget has yet to be officially adopted by the City Council and can be reviewed here. The council will vote to adopt the budget in an upcoming council meeting. What about a “Gang” task force? Don’t the citizens of St George need to be protected from all the gangs? The police act like a gang; and so far you’ve had the moral backing of the …* people. We have all been trained that police have extra authority over others and we’ve seen it abused time and again. These guys are just people; yet somehow its fine for them to end a life if they feel threatened; or destroy lives just because they found an excuse. They don’t have the option to do whats right because they’ve got the whole new world order up their …* The police should be an expense, but they are being used as a source of revenue. You haven’t earned the respect you get, its been handed to you on a silver platter. And what do you do with it? You drag people through the abortion of justice; you steal their time, their money, and their property whether they are guilty or not. You would about have to be a sociopath to have anything to do with the police at this point. Ed. is having a me-too moment with this censoring of free speech. He added no ellipses, I put those there. He just took an “sh” off the front of the first one and an “a” off the front of the other one. He did add an asterisk to them, I’ll give him credit for that. Ed. why don’t you go join the police force? Oh ya, you are their propaganda platform already. The “sky is falling!”, Henny Penny! hahahahahahahaha! “Come right in” said Foxy Loxey. And they all went in and never came out again… Whats the moral of that story? You.. the sky is falling henny penny…hahahahahahaha! Don’t tell me..your’e a clueless liberal too? Always blaming others for your own shortcomings. Take some responsibility for yourself . The problem is not the police, the problem is lack of common sense! The police have to deal with sociopaths all too frequently. Is that where you gained your personal insight, being dealt with by the police? I spent a week in jail because a policeman didn’t want to do what he was already doing. Charged with obstructing justice because I didn’t pull over immediately. Judge ruled not guilty which was a good thing because the police committed perjury three times. I got pulled over for not blinking long enough and I touched the line. That was nothing but it pissed me off. And the last one; I was passing a kidney stone and my dog disappeared. It was completely my fault she got away but I spent a week searching for her before the police called and said they had her the whole time. Turns out they charge by the day so that was convenient. This was all in the last year; I have never had a policeman help me even when they were there and I ask them to. They seem to be more than willing to jump in and kick a man while he is down. I love all of humanity, but I have no use for what they become when they put on that uniform. That’s your story, stick to it ! hahahahahahahahaha! Such a sad story, you are a real victim. Not a victim- just motivated, and you asked. I agree that what I went through was nothing compared to what I saw during the process; and while there is little to no accountability on either side, that is the product of the system. It is a lot easier to try and change that from here, than in a court room where its obvious the odds are stacked against you. If you like things the way they are, then you support it. I don’t and I wont. He needs to be back on the meds before he does something loony. It’s for everyone’s safety. Guess I’m a “conspiracy loon” too, but he’s on a whole “nother” level.